Great venue and location. It could do without the politicians. 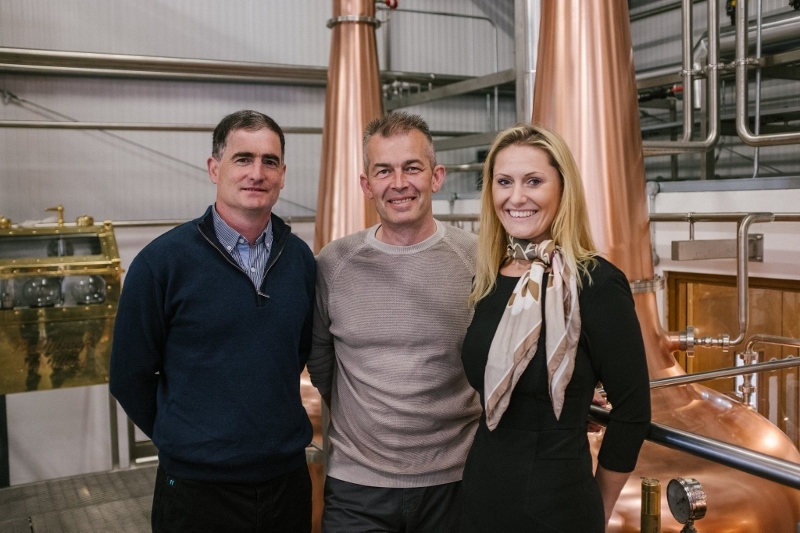 Here's an interesting story of a enterprising couple getting in touch with their Irish roots. Or is it jumping on the bandwagon. How many breaches or the current Irish Whiskey Association regulations? and a couple of possible US breaches too. Nice little programme on Irish whiskey from BBC Radio Ulster.."Water of Life". 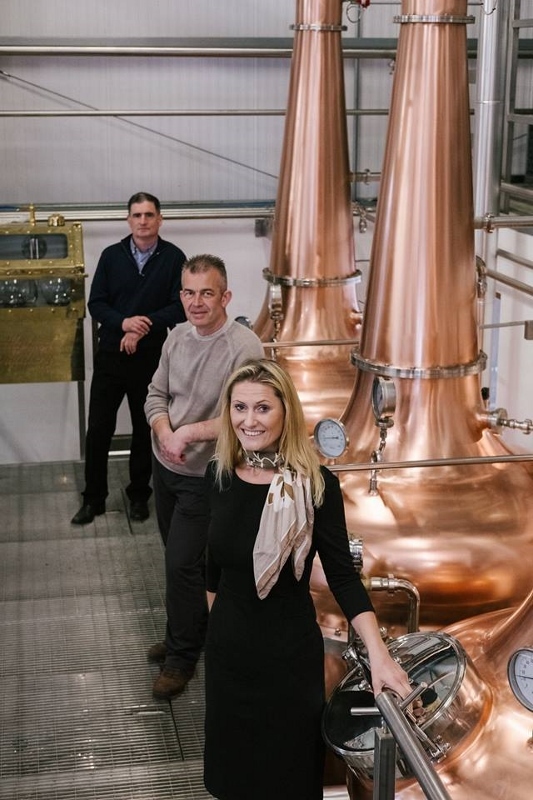 In this programme Lynette Fay goes in search of the history of liquid gold and learns the process of whiskey production at the Old Bushmills Distillery.Chats to Kilbeggan ,Niche drinks and others. I wish I owned it but admit I have an interest. I'm looking forward to the auction. I trust you'll update us on the result ..... best of luck tomorrow. They gave the wrong date for that auction. It's on the 19th in Adams. Can't imagine any of them seeing the light of day. Looking at the both of the addresses ,they are not exactly great sites for a distillery. 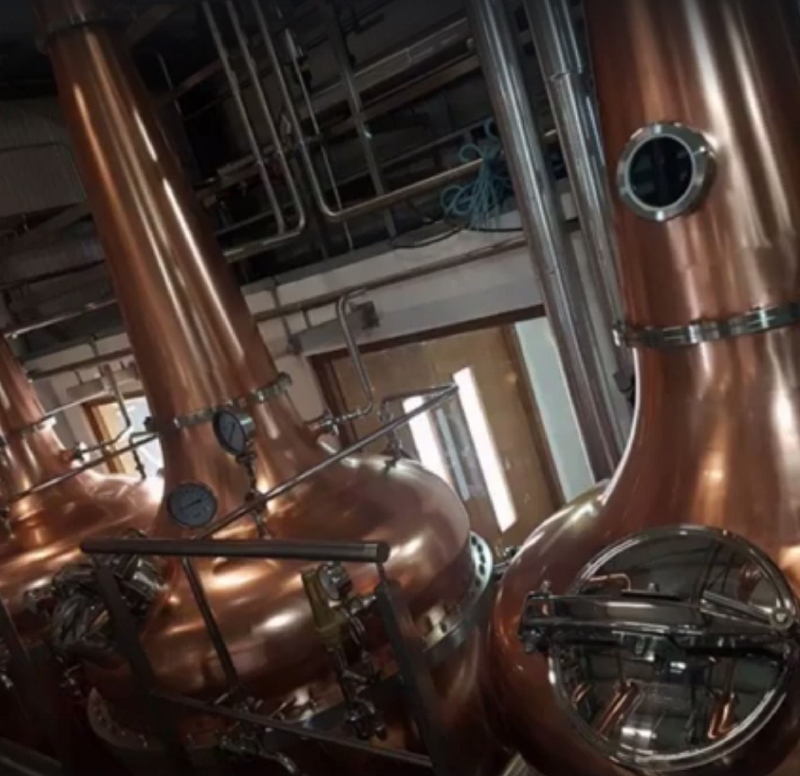 Another new distillery is after getting planning. This time it's in Sligo. The Spirit Business & The Irish Times have the story. Most impressive set up...From VHS tapes to single malt. What a change..
and select view scanned files. 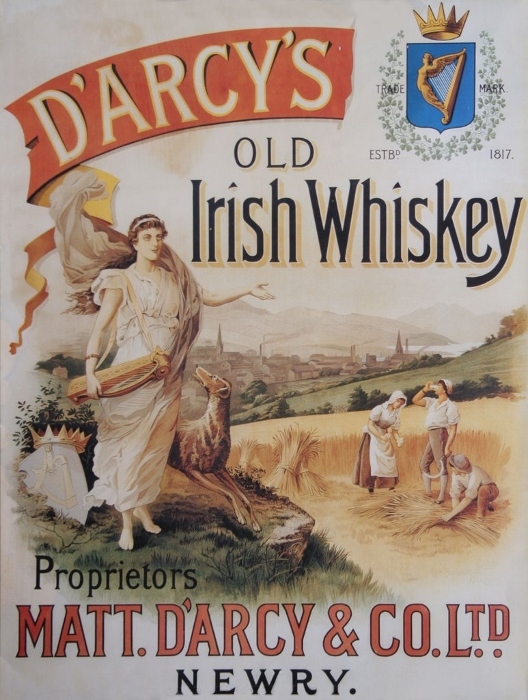 Paddy Irish Whiskey is being sold to Sazerac. 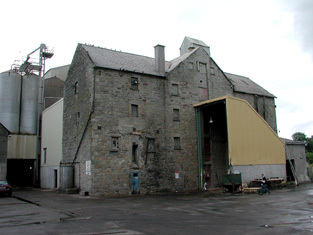 The whiskey will still be made in Midleton for the time being. This story was posted here but was lost when the site broke down last week. Here's a link to the story. More will follow in time. A good read on wine searcher about Dave Quinn. 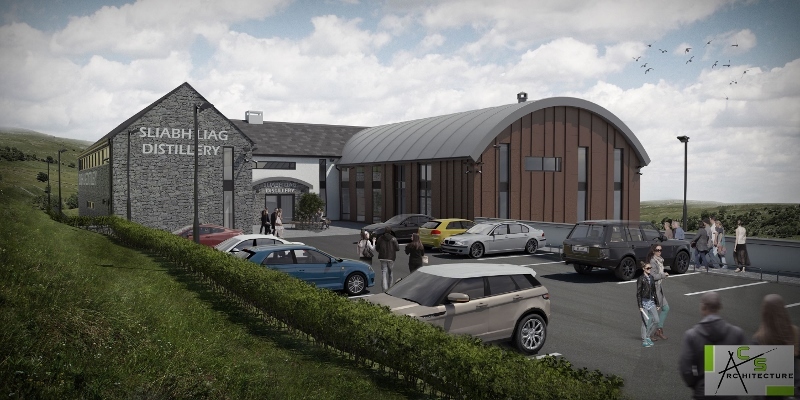 Sliabh Liag Distillery ,has been granted planning permission by Donegal Co. Council. Click.. VIEW RELATED DOCUMENTS to see all plans. 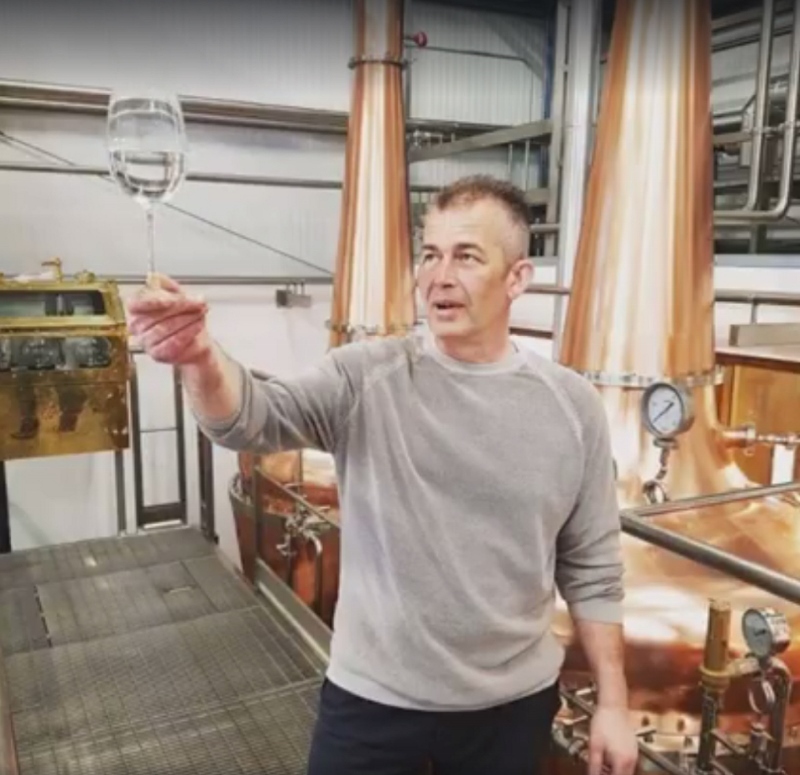 An application has been submitted to Cork Co.Co by Clonakilty Distillery Ltd for a new Distillery and visitors centre in The Waterfront Clonakilty. Planning no 16502....5th Aug 2016. 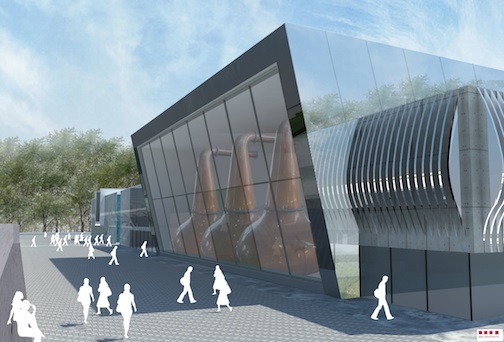 Permission for a craft-distillery and visitors centre. The proposed development will consist of Permission for; 1) A change of use of Building J from permitted Gaelscoil to craft distillery with display areas, 2) Change of use part of Building K from permitted ground floor retail, 1st, 2nd & 3rd floor Gaelscoil to use as a visitors centre. The proposed visitors centre will include a shop with off-licence at ground floor level, tasting room and display areas at 1st floor level, media room and open plan area at 2nd floor level and ancillary office use & staff facilities at 3rd floor level, 3) Change of use part of building K from permitted ground floor retail to use as a cafe/restaurant, 4) Modifications to the facade including new signage, display windows, a new pedestrian walkway linking Building J & K at first floor level, 5) Retention of a fire escape stairway to Building K and permission to enclose same with select metal cladding, 6) Retention of a ground floor extension to Building K (to form part of the proposed restaurant), 7) A distillery service yard to include 3 no. malt silos, a water tank, a pot ale tank, a process water holding tank, IBC storage, spent grain storage and an external store, 8) 2no. LPG gas compounds, 9) Restaurant service yard, 10) Site development works to include alterations to the existing plaza consisting of the relocation and replacement of the existing ramp and stairs, internal access roadways, landscaping, footpaths & an ancillary car park, 11) a modified entrance at Clark Street including upgrades & provision of a roundabout at the existing Inchydoney Road/ Casement Street/ Clarke Street junction on the N71. Files are not as yet on line. 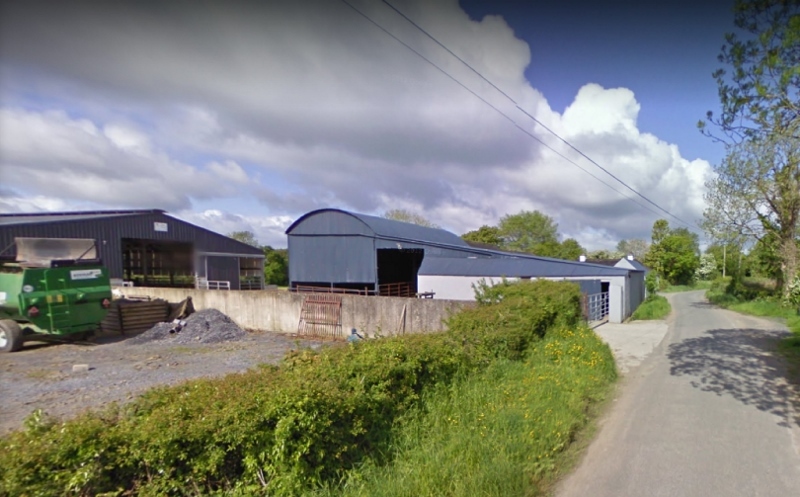 A planning application has been lodged with Roscommon County Council for the change of use of part of existing mill building from production of grain and maize products to a whiskey distillery (floor area 739.58 sq.mtrs.) incorporating the installation of plant, together with minor alterations/works to existing building (which is on the record of protected structures - Reg. No. 3180439) together with all ancillary site works and services . Great spot Charley and what a great distillery that will make if they get it through. Can't wait for season 4 of Moone Boy where Martin goes to the distillery! Great news Charley. I'm looking forward to the proposed Wexford one. I'm told the 1798 centre is an option. Good Whiskey Hunting wrote: I'm looking forward to the proposed Wexford one. I'm told the 1798 centre is an option. I have mixed feelings about this. 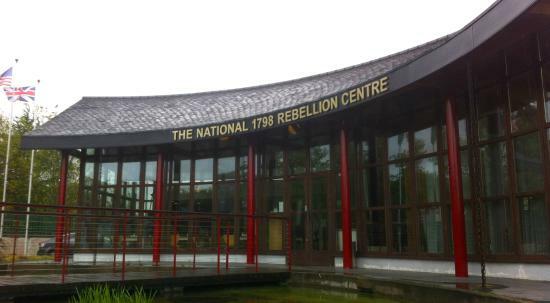 It's a great shame that the 1798 centre is to be closed . 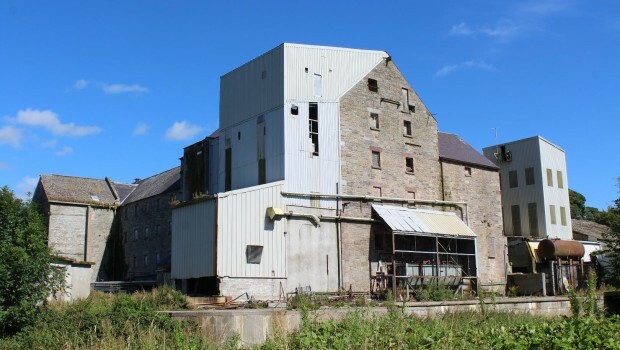 For visitor footfall it was just in the wrong place and unless it is moved to somewhere more central the same problem will apply to a distillery, any one of the quayside maltstores/warehouses would have been a better bet. 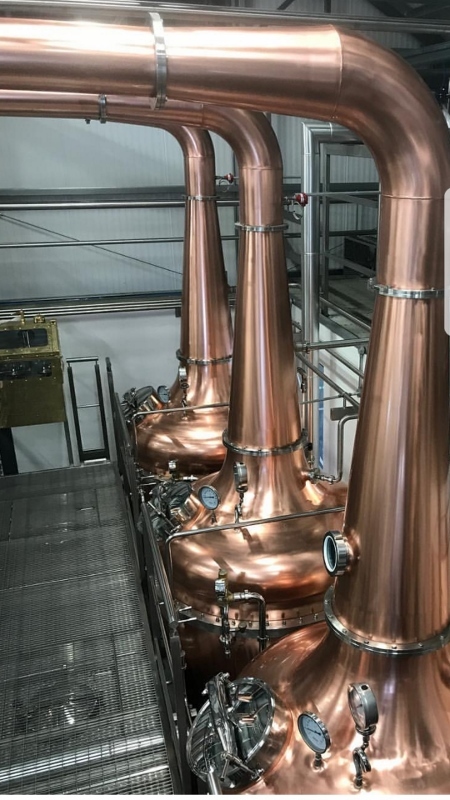 Looks like the Bally Keefe Distillery in Co Kilkenny is well on it's way . 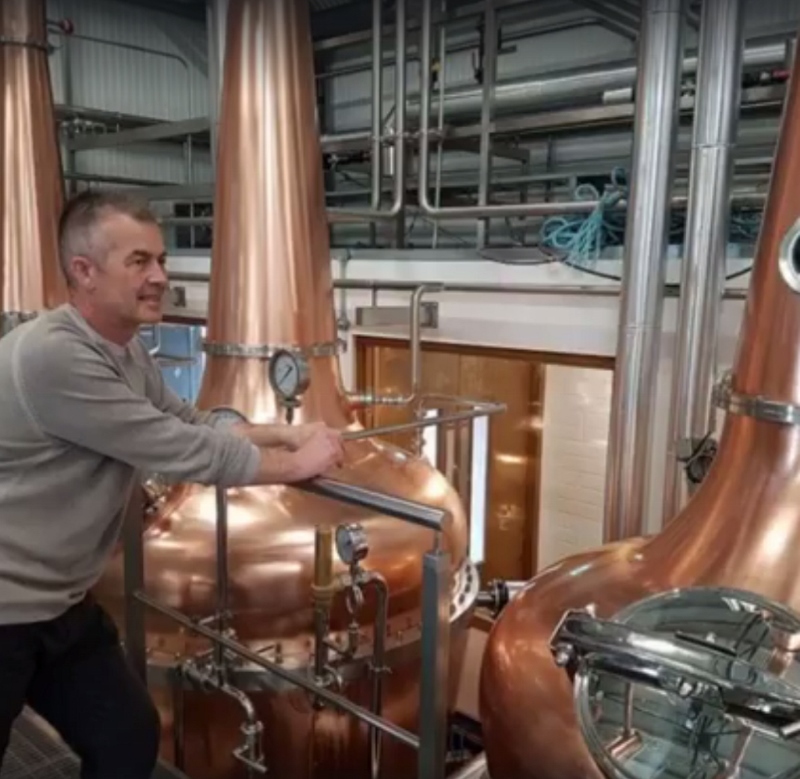 The stills are real beauties and somewhat surprised me ,as I thought that it was to be a smaller operation as the planning referred to an annual production of 25 barrels. I posted the links below to the planning docs back in Oct 2015. The docs were very short on information. Morgan Ging .Kilballykeefe Cuffsgrange Co. KilKenny. change of use of part of existing farmyard complex to micro distillery, bonded warehouse. Very nice stills indeed and thanks for sharing. Remind me of Laphroaigs stills for some reason. 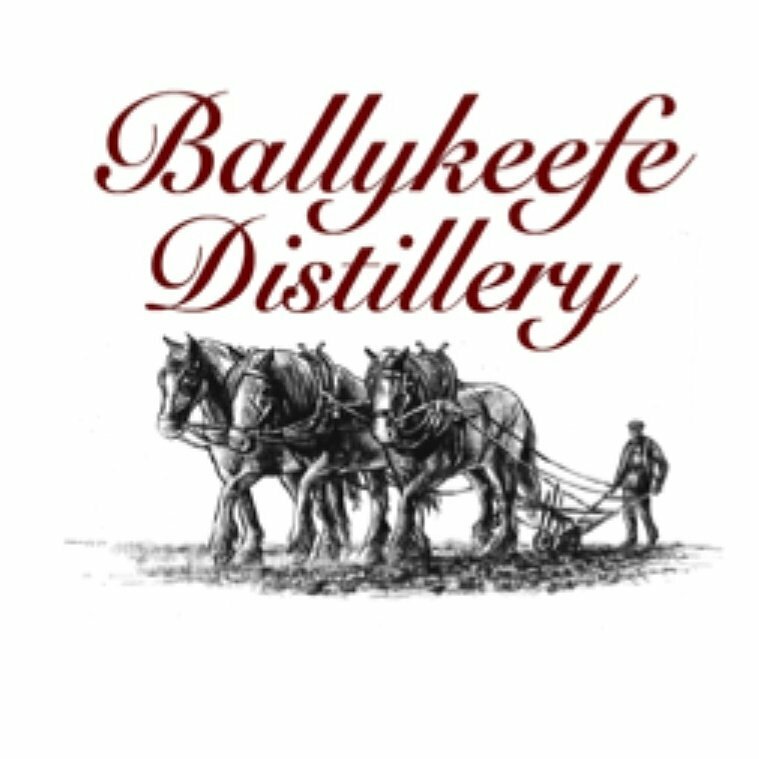 A few more photos of Ballykeefe distillery . With Morgan Ging owner Jamie Baggott chief distiller ( Chase Distillery Eng). and Lynda visitor centre manager. 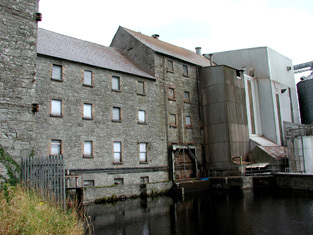 "WHISKEY-making is to resume in Newry on the site of a former distillery with a 200-year-old history." 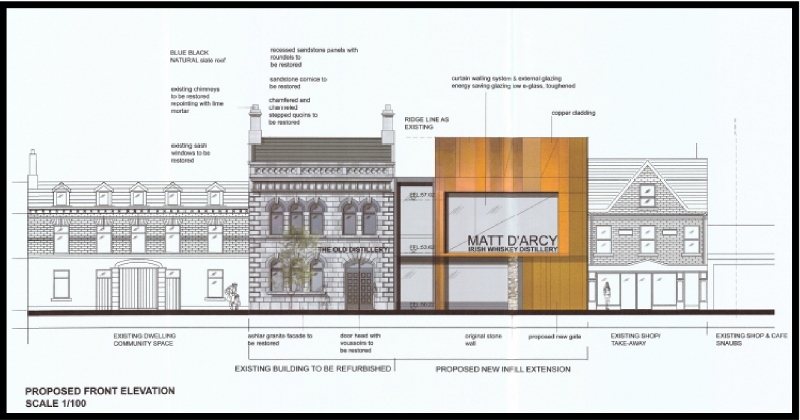 Veteran businessman Michael McKeown has formally submitted plans to build on the old distiller site on Monaghan Street, a central artery of the city and the site of Darcy's Old Irish Whiskey since 1817. 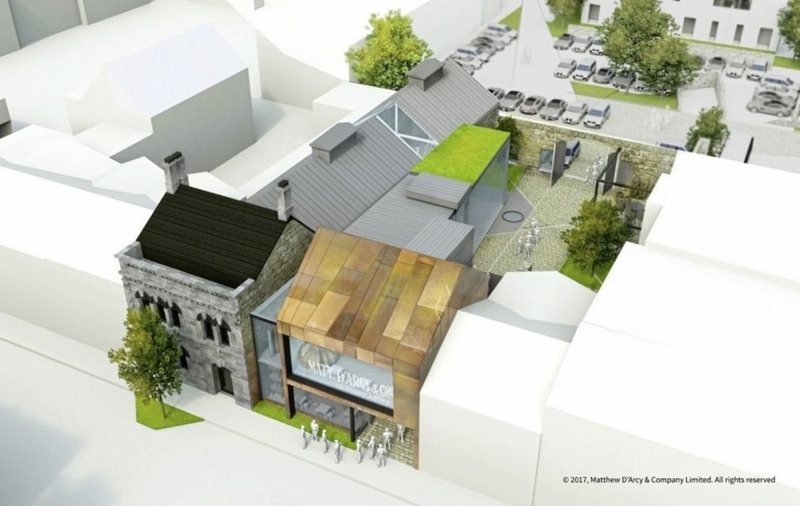 He plans to restore the early 19th century buildings and provide a working distillery, visitors centre, restaurant and an authentic Victorian public house, while also providing space for a theatre and private functions. Planning application submitted Documents are now available to view , Click view scanned files ..
N.B. Best viewed using Internet Explorer and DJvu. 10 year permission for the development of a whiskey warehouse facility consisting of 13 no. 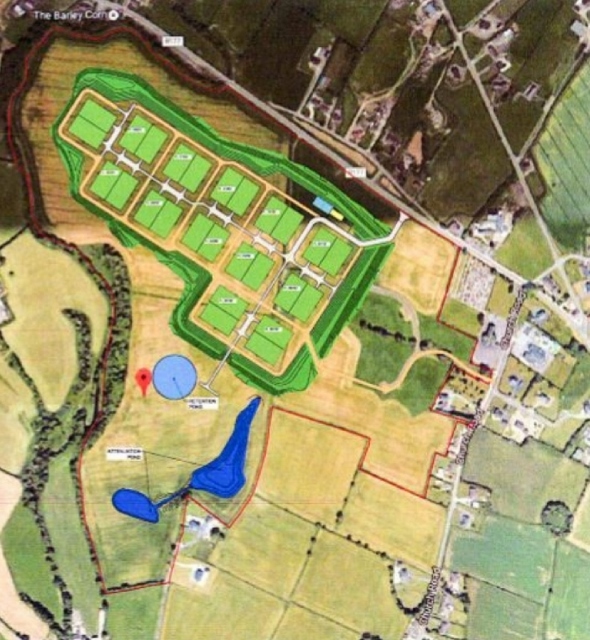 maturation warehouses, ancillary buildings, structures and all ancillary site development works on a site within an area of 45 hectares (111 acres). 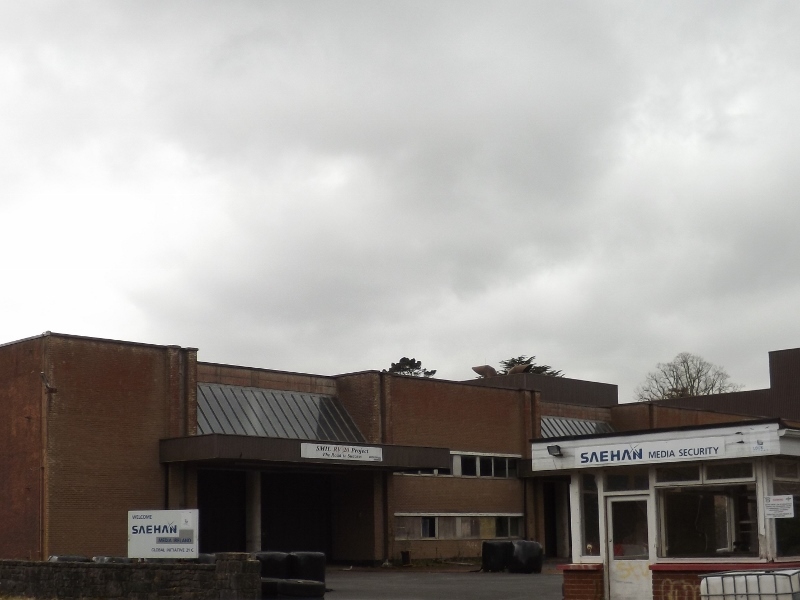 The proposed development also provides for the creation of a site for community use with access via an upgraded existing entrance from Church Road. Each proposed warehouse has a gross floor area of approximately 4,000 m2, divided into 2 no. 2,000 m2 compartments, has a typical ridge height of approximately 10 metres and includes mounted external lighting and CCTV cameras. Ancillary buildings and structure include a forklift garage; 2 no, water tanks with ancillary pumphouse; ESB substation; 1 no. public lighting pole incorporating CCTV surveillance camera. Ancillary site development works include the demolition of existing derelict outhouses and stables; installation of a septic tank and associated percolation area; 2 no. bored wells; fire water retention pond and a surface water attenuation system consisting of 2 no. attenuation basins with a proposed outfall to the Kilcurry River; staff parking area, berming; landscaping; perimeter fencing and gates. Access to the proposed development will be via a new entrance from the R177 Armagh Road and a secondary access is proposed via an upgraded existing entrance from Church Road. The proposed development relates to the provision of an establishment to which the Major Accident Directive applies. An Environment Impact Assessment Report (EIAR, formerly known as an EIS) has been prepared and will be submitted to the Planning Authority with the application.